As part of Marylebone Food Festival, Bernardi’s is offering 20% off your food bill from Wednesday 24 April at 11:00am until Sunday 28 April finishing at 6:30pm. The festival deal includes up to 6 people, ordering from the a la carte menu only. Bernardi’s restaurant & bar is a casual yet elegant neighbourhood Italian, where the food is seasonal, creative and familiar. From Wednesday 24 April at 12:00pm until Sunday 28 April at 1:00 PM The Portman Pub will be serving a special set menu for Marylebone Food Festival. Join Hankies for a special festival set menu for £29.50 curated specifically for Marylebone Food Festival. Available from Wednesday 24 April at 12:00 PM until Sunday 28 April at 10:45 PM for lunch (12.00-2.45pm) and dinner (5.45-10.45pm). The Festival menu includes an amuse-bouche including Hankies namesake Roomali Rotis (aka Hankies), followed by a small, but mighty plate. Choose from one of their speciality curated grilled options and a curry and finish it off with one of their cooling and sultry desserts, like caramalised mango with ginger honeycomb or homemade chef’s speciality kulfi ice cream. All this for only £29.50 per person. Vegetarian Option Available. Vintoeca Marylebone has curated a special dish plus a glass of wine for a mere £16 in honour of Marylebone Food Festival. Indulge in their seasonal Beef Ragu, Panne Carasau & Gremolata paired with a glass of Egri Bikaver ‘Bull’s Blood’ 2015, Bolyki, Eger, Hungary. Available throughout the festival from Wednesday 24 April at 12:00 PM until Sunday 28 April at 10:00 PM. Booking recommended. Sauvignon Blanc, Touraine, Alain Marcadet, Loire Valley, France, 2017 to go with the Sinodun Hill – goat’s cheese and Sauvignon is a clean pairing coming from the Loire Valley wine and cheese. Garnatxa Negra, Herencia Altes, Terra Alta, Spain, 2016 to go with both cow’s cheeses (Tunworth & Lincolnshire Poacher Double Barrell). The strong expression of nutty cheese goes perfectly with the earthy, spicy Grenache from a warm climate. Late Bottle vintage, Croft Port 2012 to go with the Colston Bassett Stilton – this is a classic British pairing for all port and stilton amateurs. You’re invited to Donostia’s Basque Cider and Pintxo celebration on Sunday 28 April from 12:30 PM 3:30 PM as part of Marylebone Food Festival!This is a spring celebration of cider the Basque way, with community, live music and awesome food! On the menu will be pintxos of steak, txistorra and tortilla amongst others and the Basque Cider will be flowing! One ticket includes 2 pintxos, a bottle of cider and a swanky commemorative cider glass and pourer. Tickets cost £10. Book via the link. Lurra’s inaugural Txakoli festival kicks off on Sunday 28 April from 12:30 PM 3:30 PM especially for Marylebone Food Festival. Indulge in sharing plates, live music and flowing Txakoli all in a communal table family-style setting. Included in the ticket is 3 courses of delicious Basque food, a bottle of Txakoli and a one-off commemorative Txakoli glass and pourer. Topa! Tickets cost £40 pp. Book through the link. In honour of Marylebone Food Festival, The Gate is hosting a secret vegan supper club on Sunday 28 April from 7:00 – 10:00pm. Indulge in a five-course plant-based tasting menu with matching wines for £49.50.Booking is essential and via the link. Pierre-Marie Luneau is the Muscadet Maverick – far from making the expected crisp, light, simple wines typical of the region, he goes for broke with beautiful, complex and delicious wines that are way beyond. The grape that makes Muscadet is Melon de Bourgogne, here grown on slatey soil and aged for 7 months on its yeasty ‘lees.’ Super savoury and almost salty, but with pear-skin fruitiness giving it some welcome generosity. These old vines are planted on granite soils, and year after year produce endlessly layered wines that age for decades. You get that salty iodine twang, then a deep, savoury, bready, spicy, herbal depth from the wine’s 10 months lees and 10 years bottle ageing. Muscadet, but not as we know it. 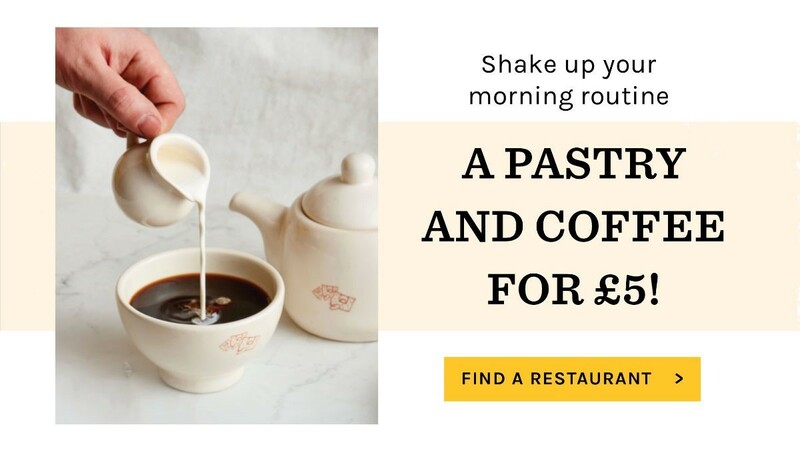 Start your day off right with a pastry & coffee for only £5 from LPQ in Connaught Village at 30-31 Kendal St, London W2. Thinking of doing Veganuary? The Gate, one of London’s top veggie hotspots, has you covered. By teaming up with TimeOut, you can indulge in three courses and a glass of prosecco at this iconic vegetarian restaurant – and they’ve upped the ante with a fully vegan menu just for Veganuary. Booking is essential. To book, please call 020 7833 0401 with your voucher number and security code (after purchasing through ‘Read More’ link below). Booking details – date/times: Monday – Saturday 12pm – 10pm and Sunday 12pm – 9.30pm. What better way to watch the rugby live than with a burger & beer in hand? We’re screening all the matches downstairs in The Salt Room. Book a table of simply walk in to watch the action unfold. Contact reservations@boxcar.co.uk or 020 3006 7000 to reserve your space. 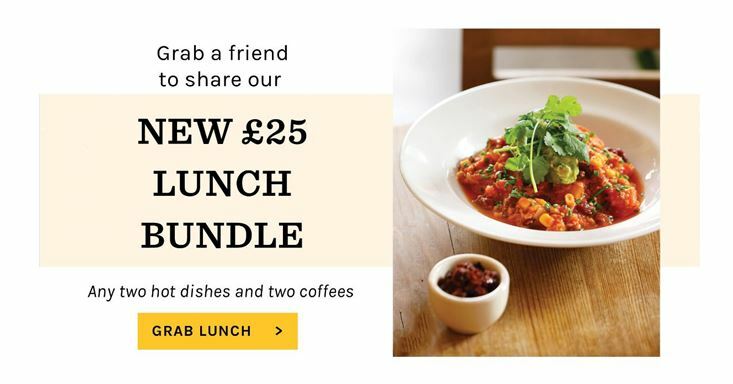 You and a friend can catch-up over lunch for only £25! Enjoy any two hot dishes and two coffees in the warming and relaxing atmosphere of Le Pain Quotidien on Kendal Street, W2 without breaking the bank! Boxcar Bake & Deli open late! From Friday 1st March, Boxcar Baker & Deli will be open until 10pm every Wednesday to Saturday. Pop in after work and choose from a selection of artisan wines, local craft beers, seasonal cocktails and delicious sharing boards. From Wednesday 20 February, you have the outrageously good opportunity to enjoy Boxcar’s signature burger & a beer for only £10 every day from 3pm – 6.30pm. Reservations and walk-ins welcome. To book, contact reservations@boxcar.co.uk or 020 3006 7000. Evening Standard stated, “The house burger is a juicy treat served in brioche with thick slices of treacle-cured bacon”. With foodie fanatics like Foodism, The Nudge, Olive, Evening Standard and Hot Dinners singing the Boxcar Butcher praises, you’d be silly to miss this! 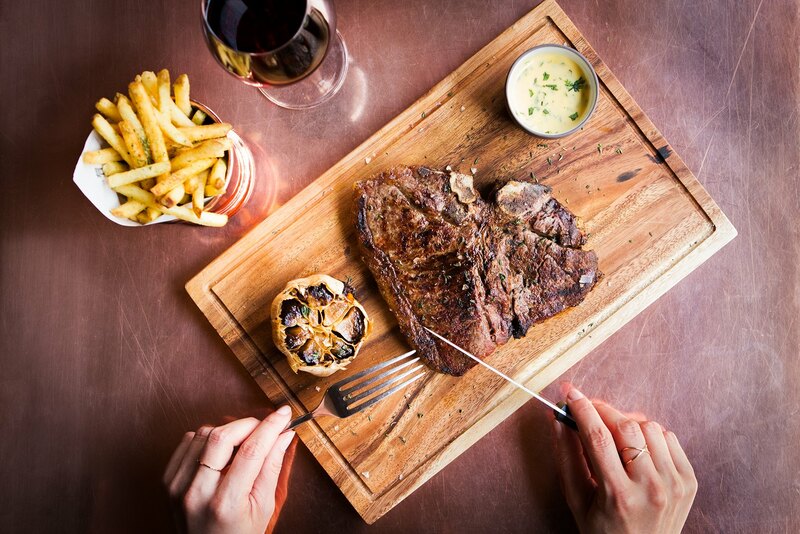 From Wednesday 20 February, you have the good fortune of being able to indulge in Boxcar’s signature steak & a perfectly paired wine for only £15 every day from 3pm – 6.30pm. Reservations and walk-ins welcome. To book, contact reservations@boxcar.co.uk or 020 3006 7000. Transport yourself to exotic Argentina with the set lunch menu at Casa Malevo. Try some of their phenomenal regional and seasonal dishes, like Higuitos dulces (Figs, goat cheese, peanuts and honey), Provoleta (trademark for an Argentine variant of provolone cheese) with roasted peppers, tomatoes & oregano, handmade and fresh Empanadas, and – of course – beef with criolla. Two courses for £14.90 || 3 courses for £17.90. What better way to beat those end of week blues than a lazy Sunday afternoon at Boxcar Butcher & Grill and the choice of three delicious roasts to choose from – Galloway beef, Gloucester Old Spot pork & Stuffed Texel lamb saddle, all served with your favourite trimmings. For bookings, contact reservations@boxcar.co.uk or 020 3006 7000. As Nature Intended is hosting a super energy-boosting workshop on 20 February! WellWellWell Nutritional Therapy and Kitchen Joy Cookery School have joined forces to bring you a nutrition and cookery workshop to help you re- establish healthy eating habits and restore your energy levels for a fitter, fuller life. The session will include nutritious cooking demos, a chance to sample the delicious food that’s been prepared and expert nutritional advice on how simple changes to your diet can improve your health and wellbeing, all for only £11. Jackie is an experienced clinician and author of The Right Bite: Smart Food Choices for Eating on the Go (Nourish Books, 2016) and Va Va Voom: the 10-Day Energy Diet (Headline, 2017). She believes that nutritious food should be delicious and enjoyable and as the founder of the WellWellWell nutrition clinic in Notting Hill, this principle is at the heart of the advice and guidance she gives. Find out more about Jackie’s work at www.well-well-well.co.uk, or follow her on social media at @WellWellWellUK. Vinoteca’s acclaimed ‘Big Winter Offer’ is back by popular demand this January! 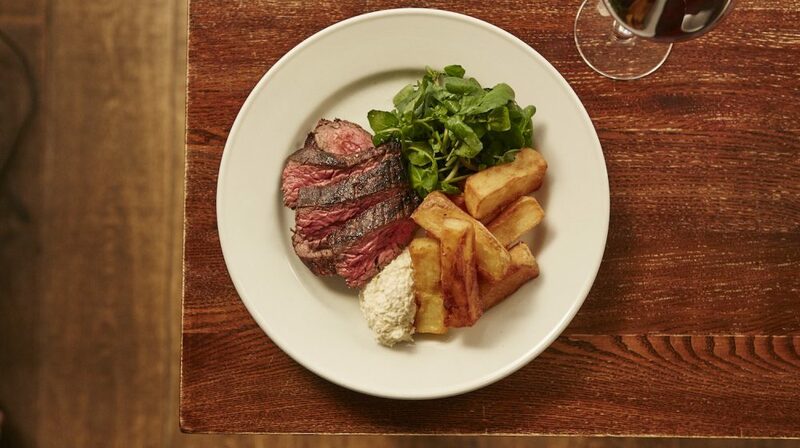 Enjoy their signature marinated bavette steak with hand cut chips, homemade horseradish and watercress plus a glass of Mendoza Malbec ‘Lorca Lorca’ 2017 for the brilliant price of £16. From fruit grown in Vista Flores in Argentina’s Uco Valley, this Malbec is ripe with strikingly pure black cherry fruit and seamless tannins. Doing Dry January? There’s also 0% Syrah or Chardonnay grape juice, a non-alcoholic alternative made from top quality wine grapes and treated with as much care and attention as Vinoteca’s award-winning wines. Must book in advance by calling 020 7724 7288. Offer valid until 31 January 2019. Maximum table of 6. Through TimeOut London, fan-favourite and celebrity hangout Kurobuta is offering 54% off an appetiser, a main dish, sushi and a cocktail at this modern Japanese restaurant until 6 February 2019. Time Out gives it a resounding 4 stars! Tuck into an appetiser, a main dish and sushi, plus a cocktail for just £20. What are you still doing here? Buy it before you miss out! Must have the TimeOut voucher to redeem the deal. Click the ‘More information’ box to read more and purchase. Every Sunday from midday until 4:00pm, catch some weekend vibes with an amazing brunch alongside live music at The Pickled Hen, 134 George Street, W1H 5DN. The newly relaunched brunch menu includes Build you own omelette, burgers, fish & chips, a variety of over 10 seasonal salads and much more all for £24.50 per person or upgrade to bottomless prosecco for 2 hours £35. A Thali is essentially a platter with little bowls of currys, dal, rice, bread, salad, raita and a dessert – delicious, healthy, balanced and nutritious. The Gate Marylebone’s new winter Prix Fixe lunch menu has launched! It’s a great value at £15 for 2 courses and £18 for 3 courses, giving you the chance to try the restaurant’s new Crispy Marinated Tofu starter, as well as the famous Shakshuka, and finish off with vegan and gluten free Cranberry & Vanilla Cheesecake. Many more options available. Served Monday-Friday from 12-4pm. Local businesses and residents in the Marylebone can indulge in 15% off in any hair services at Knot & Dye. Receive 15% off your bill at selected branches of Maroush when you show the attached voucher. Offer valid at Maroush (21 Edgware Road), Maroush Bakehouse (Edgeware Road), Sidi Marouf, Maroush Gardens. Click this offer to download the voucher. Get that #FridayFeeling at The Pickled Hen, Marylebone’s modern take on the great British gastropub, with live music every Friday night from 6:00pm to start your weekend off right. Don’t let the fun stop there, enjoy their 3-course set menu for only £21 or 2-courses for £18, with a star line-up featuring dishes like baked camambert, confit duck leg, pan fried hake and spiced mussels, and warm mini doughnuts with nutella. TGIF! Lacquer and liquor with 2-for-1 cocktails at London Grace when your appointment is from 5-6pm! Chin chin! Just in time for Oyster season, La Petite Poissonnerie has just opened its brand new Oyster and Champagne bar in the basement of New Quebec Street’s friendly fishmonger. Gail’s bakes to make all parties happy. But not just parties. Meetings, events, once-in-a-lifetime celebrations, or even nights at home. Any occasion that requires freshly-baked, hand-delivered sustenance. Click to order. Every Friday from 4:00pm is Flutes Friday at The Duke of York, 45 Harrowby Street W1H 5HT! 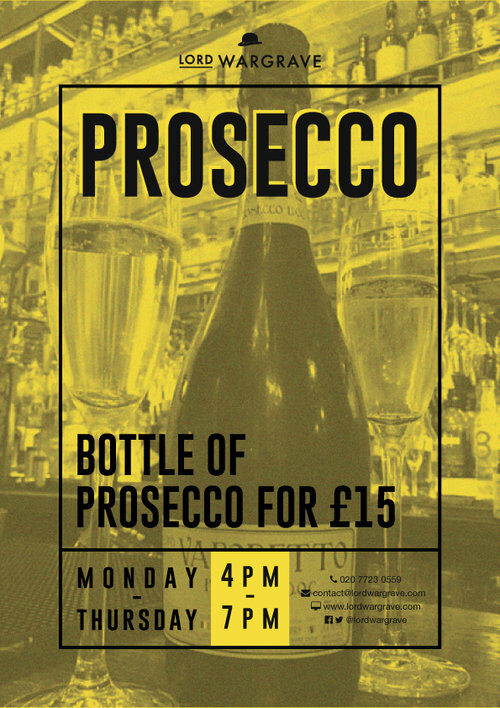 Enjoy a bottle of prosecco for only £15! Quote Marble Arch Guide when making your lunch booking at Stuzzico and receive 20% off the food bill. This offer applies Monday to Friday only for a maximum of four people. The Montagu Kitchens Traditional Afternoon Tea menu consists of classic features of the British ritual such as delicious sandwiches and succulent scones. Monday to Saturday: 1:00 p.m. – 5:30p.m. At KuPP, enjoy a Bottomless Smorgasbord Weekend Brunch with brilliant bords, beer & cocktails every Saturday from 12-5pm. 90 minutes of unlimited Smorgasbord refills alongside bottomless Czech Pilsner Krusovice or a choice of herbal & spice infused Aquavit cocktails or Bloody Mary. For every adult enjoying a Bottomless Bord a child can eat free from a special children’s menu. Savoury sandwiches, delicate patisserie and scones, jam and cream with a pot of tea for two can be enjoyed at Patisserie Valerie’s Marble Arch branch for just £25. 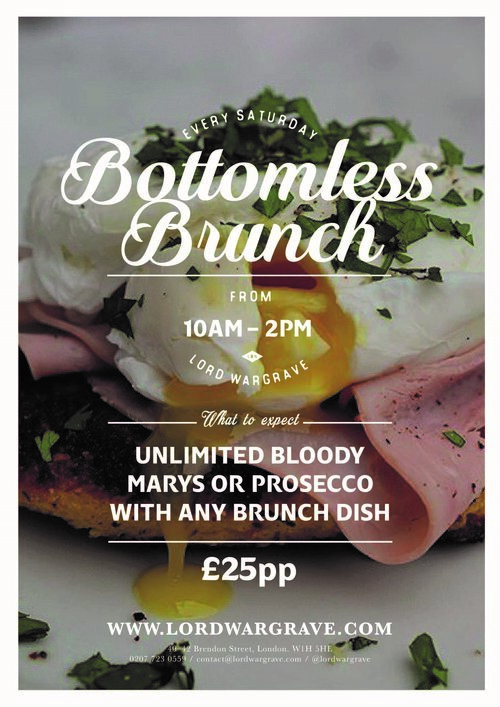 Indulge in Bottomless Brunch every Saturday at Lord Wargrave for £25 per person from 10:00am – 2:00pm including unlimited prosecco or bloody marys with any brunch dish! 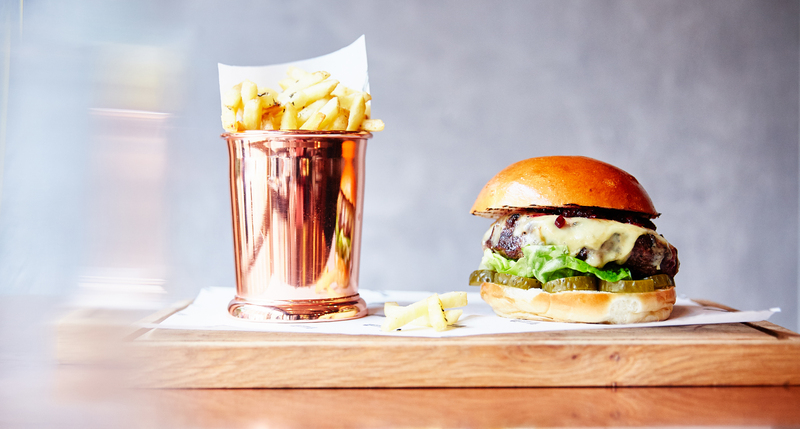 Start your week off right at The Duke of York, W1H 5HT, with £10 burger and drink deal! Starting from 4:00pm. Gail’s bakes to make all parties happy. But not just parties. Meetings, events, once-in-a-lifetime celebrations, or even nights at home. Any occasion that requires freshly-baked, hand-delivered sustenance. Click here to order. Knots & Dye are very happy to offer all NHS, Police, Fire Brigade and Ambulance Services 25% all services 6 days a week on production of a valid ID card. Treat yourself to a free tea or coffee when your appointment at London Grace is before 10am! Relax even more at London Grace every Monday, Tuesday and Wednesday from 11am-3pm knowing you’ll get 15% as part of their Happy Hour! 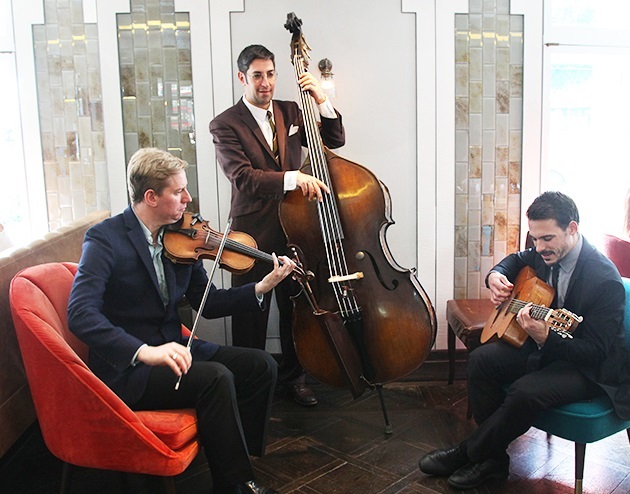 Every Friday and Saturday, enjoy lives music from different genres from 1:30 to 5:00pm – the perfect accompaniment to your afternoon tea! Every Monday you have the opportunity to treat yourself at Knots & Dye expert salon with a gorgeous cut, style and highlights or balayage. Just £120 for a full head of highlights/balayage or £95 for half a head. Available all day with selected stylists. Call 0207 2583 003 to book. Stuzzico is offering local offices and businesses receive 20% off food from the A la Carte menu every Monday-Friday from 12-4pm. All you have to do is mention ‘Local 20’ when you book. Back by popular demand, Happy Hour by Vinoteca is pouring a range of super refreshing aperitifs & seasonal wine cocktails to start the season off right. All for just £5! Vinoteca Marylebone offers a great value set lunch menu Monday – Saturday between 12noon and 3pm. Enjoy the best of the chef’s seasonal dishes for just £15 for two courses or £18 for three. The menu changes every week and the latest can be found online. Choose one hot and one cold item from the brunch menu and enjoy it with bottomless Prosecco, Mimosas or Bloody Marys for £35 per person. Gail’s has introduced three wholesome and delicious new dishes created in consultation with Sam Bloom, Nutritional Therapist and owner of Bloom Nutrition. Enjoyment isn’t reserved for the weekend when Bernardi’s is involved. Splash without all the cash at Bernardi’s Happy Hour every Monday – Friday from 3:00 – 6:30pm where you’re treated to half price on selected cocktails, including Italian favourites Aperol Spritz and Negroni, as well as beer & wine alongside the kitchen’s renowned pizzettes, cicchettes and other delectable nibbles. Pop into PAUL Bakery on Edgware Road to try the new Vegan, Vegetarian and Pescatarian options – available to eat in store or take away. Vegetarian options include Goat’s Cheese, Caramelised Onion and Pepper Sandwich | Kale and Goat’s Cheese Sunshine Salad with pomegranate seeds,orange segments, radish, mixed green salad and pumpkin seeds. Vegan options include Vegan Spiced Chickpea and Grilled Pepper Sandwich on sesame bread filled with houmous topped with delicately spiced chickpeas, grilled red and yellow peppers and wild rocket salad | Mediterranean Bean and Fresh Herb Salad with white butter beans, red kidney beans and delicately spiced chickpeas on a bed of Batavia and spinach leaves with cucumber, cherry tomatoes, fresh mint, basil and parsley. Pescatarian options include Sandwich Saumon Aneth – Salmon, Cucumber and Dill Sandwich | Salmon, Quinoa and Beluga Lentil Salad with black lentils, red and white quinoa, blanched curly kale, grated carrot, spinach, cucumber and fresh dill sprig. Enjoy Bernardi’s delicious series of Pasta Nights, which take place every Monday evening and will make you fall back in love with the first day of the week. Every Monday evening, guests will try a different recipe of freshly made, hand-filled pasta specials, bringing the taste of authentic Italian cuisine to Marylebone. Past specialities include Squid Ink agnolotti with white crab, chilli and sea herbs, as well as Burrata ravioli, sage and burnt butter sauce. Make your reservation below to experience Bernardi’s in its relaxed, modern environment for a night of pasta indulgence. Completely free, but so worth it! Call 0207 2583 003 or email info@knotsanddye.com with the code “VIP” and you’ll receive 20% off every appointment at the salon Monday – Thursday from 10:00am to 3:00pm. Every Monday at Vinoteca, join us for lunch or dinner and pay only the shop price for any bottle of wine – saving 40-60% off the usual price! Plus, you can purchase the wine you enjoyed during your visit from their award-winning wine shop to take home with you. They’re also available to buy online (with free shipping on orders over £150) from the link below. 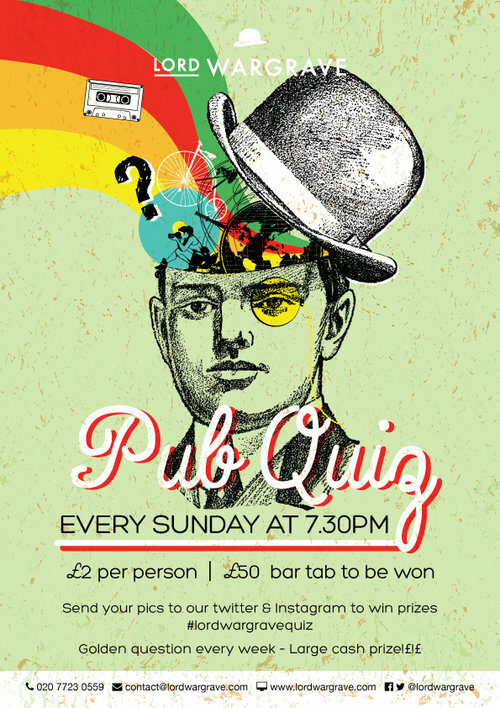 Every Tuesday get your mates together to enjoy a lighthearted pub quiz at The Duke of York from 8:00pm! There’s a £50 drinks tab to play for, BUT everyone’s a winner as each team gets a bottle of wine minimum just for turning up and playing! £2 per player.